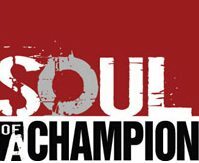 USA TODAYs Soul of a Champion series examined the ultimate athletic battleground inside the soul of 11 champions to find the secrets to athletic genius. – Looks at the intangibles that separate these champions: competitiveness, confidence, focus, and composure under pressure. DISCUSSION: How did Jeff Gordon get his start in auto racing? How did racing grab his attention? What are some of Gordon’s off-track interests? How does he prepare for races? Why does former crew chief Ray Evernham compare Gordon to Michael Jordan? Why is image important to Gordon? What lesson did Gordon’s stepfather, John Bickford, teach him at an early age? How did this influence his racing career? ACTIVITY: Consider how auto racing is both an individual and a team sport. First, describe five characteristics of a team sport (e.g., soccer, basketball, etc.) and five qualities of an individual sport (e.g., tennis, cycling, etc.). Then, determine which elements of team and individual sports auto racing combines. Based on your analysis, would you categorize auto racing as an individual or team sport? Explain. DISCUSSION: How has Martina Navratilova challenged conventional notions of longevity? What drives her passion for the game of tennis? Why do most people misunderstand Navratilova’s return to the sport? What perilous path did she embark on in pursuit of tennis prominence? How has Navratilova influenced the game? What is the all-encompassing nature of tennis? According to Navratilova, what separates champions from the crowd? ACTIVITY: Navratilova advises, “Whatever your limitations might be, don’t let them define you.” Identify a public figure (e.g., a politician, celebrity, athlete, etc.) mentioned in today’s paper. List his or her perceived strengths and limitations. Which traits seem to define that person? Who or what influences a person’s character? Finally, define yourself. Are you limited by any fears, doubts, etc.? If so, why? DISCUSSION: What is remarkable about Gary Gait’s lacrosse career? How does Gait describe himself? What event caused him to become uncharacteristically celebratory? How is Gait working to elevate lacrosse as a sport? To what does he attribute his unruffled demeanor? Why do you think Gait was selected to be included in USA TODAY’s Soul of a Champion series? DISCUSSION: What factors contribute to hockey player Martin Brodeur ’s success?List three of his impressive professional achievements.Which record is Brodeur pursuing?How did Brodeur ’s upbringing prepare him to become a successful athlete?How did he develop self-confidence? How does Brodeur ’s rationale about hockey differ from other goalies’? ACTIVITY: USA TODAY ’s Soul of a Champion series takes a behind-the- scenes look at 11 active champions some famous, some not to explore what drives elite competitors. Its purpose is to illustrate that a champion isnt just a supremely gifted athlete; the greatest possess characteristics so transcendent and translucent they elude classification. After reading the article, explain why you think USA TODAY journalists identified Brodeur as an athlete who personifies the “soul of a champion.” Cite specific examples.